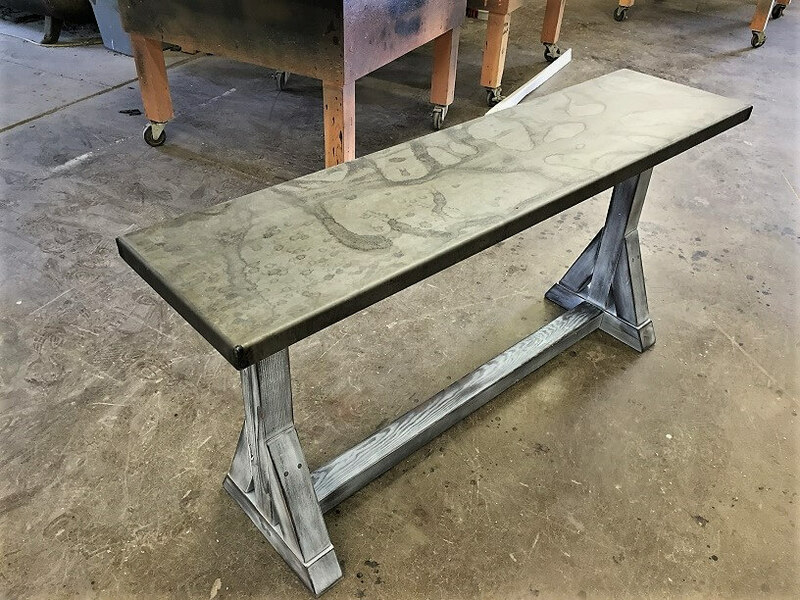 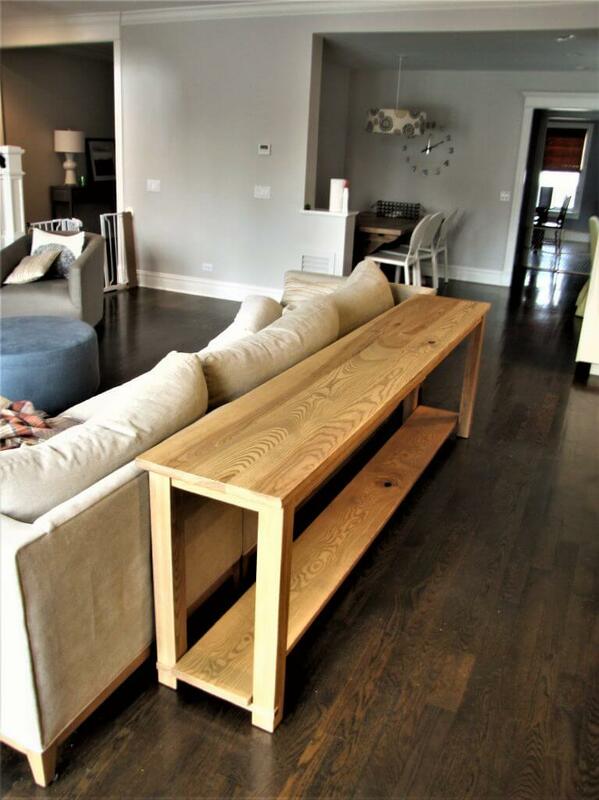 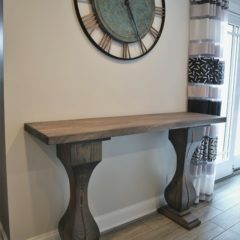 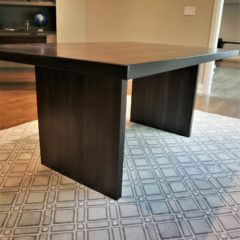 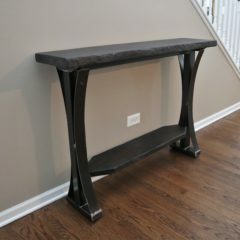 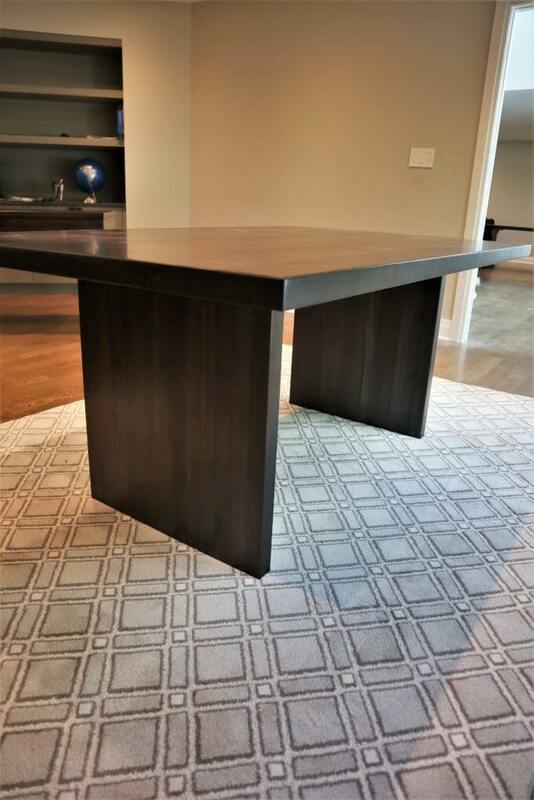 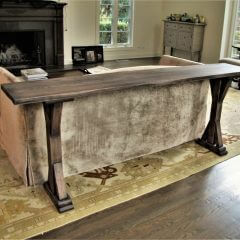 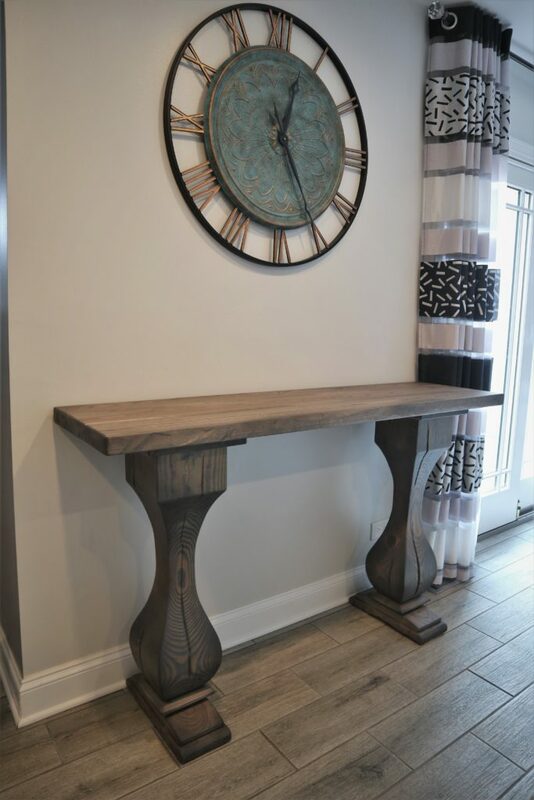 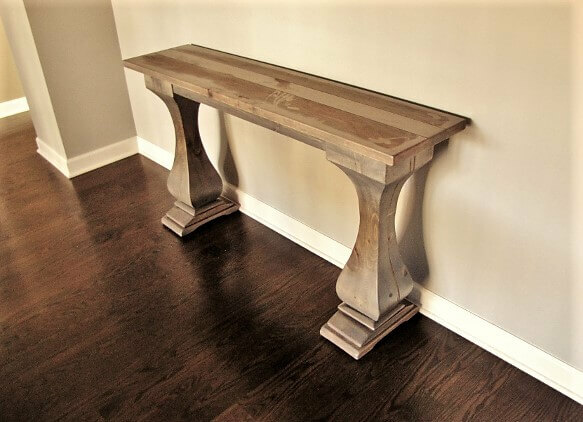 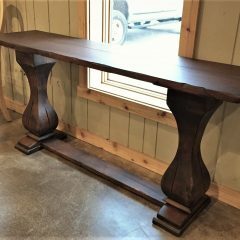 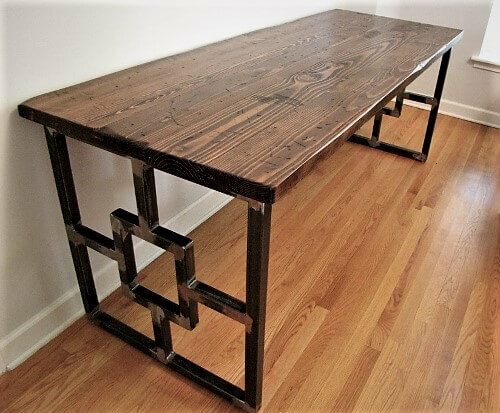 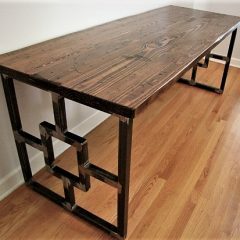 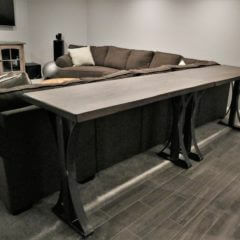 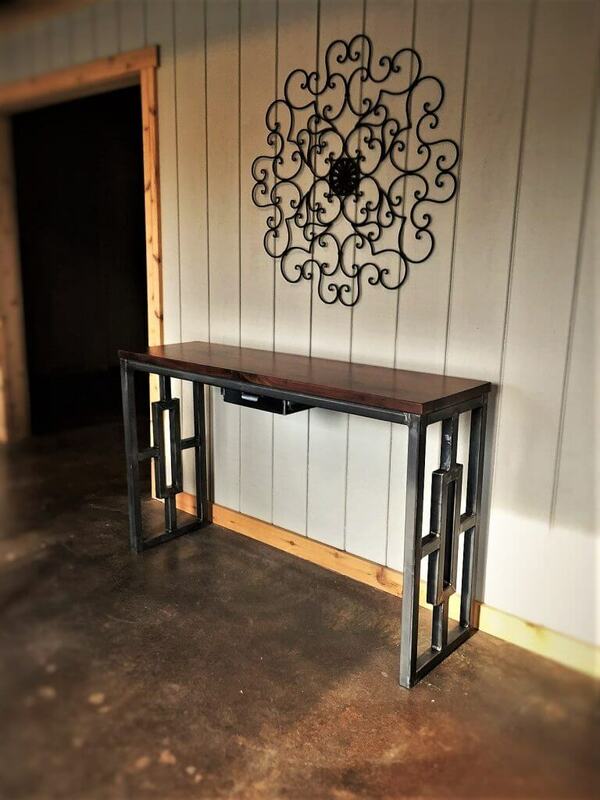 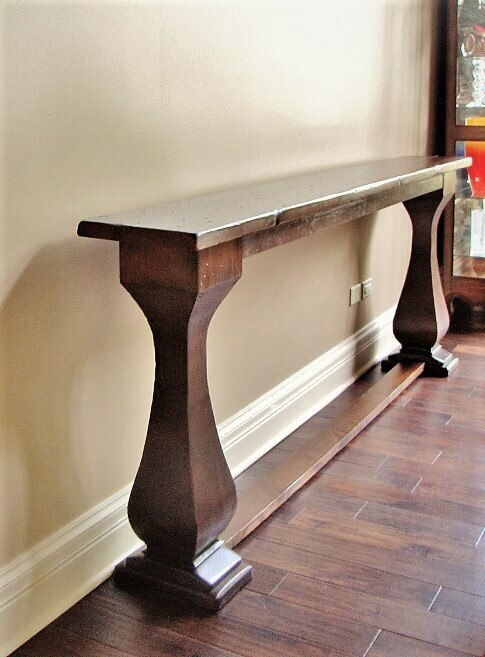 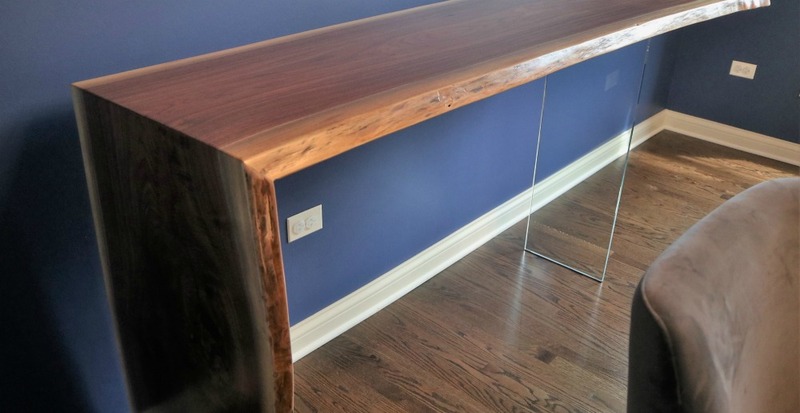 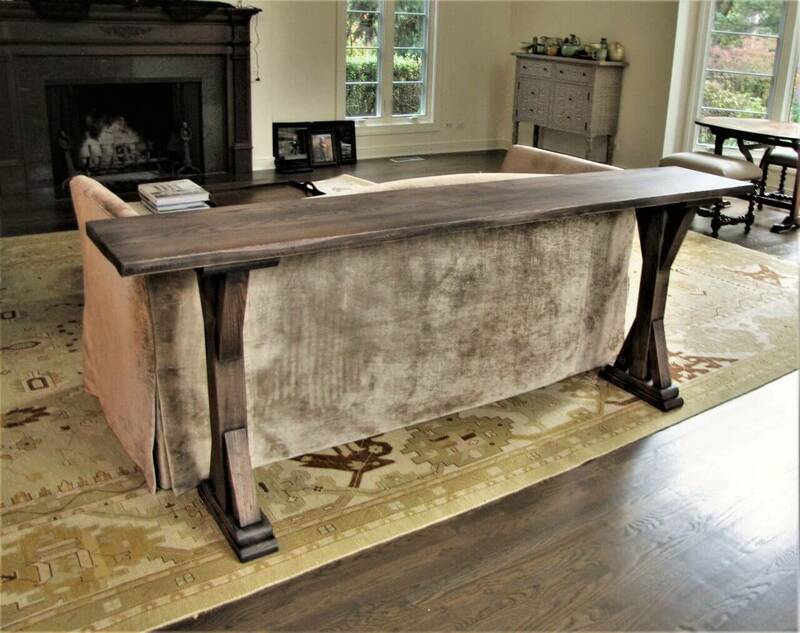 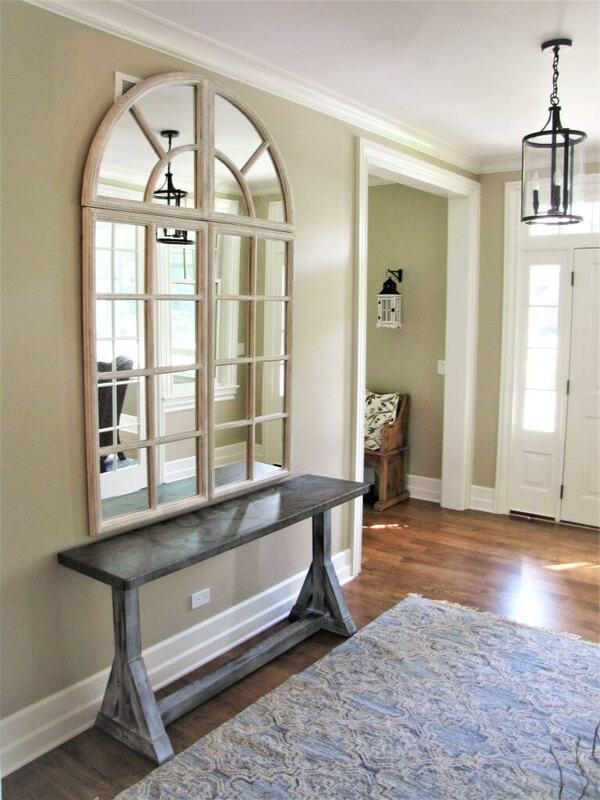 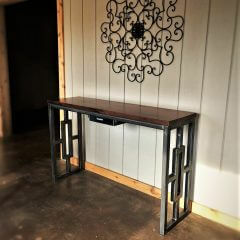 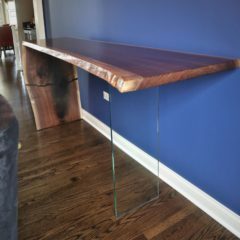 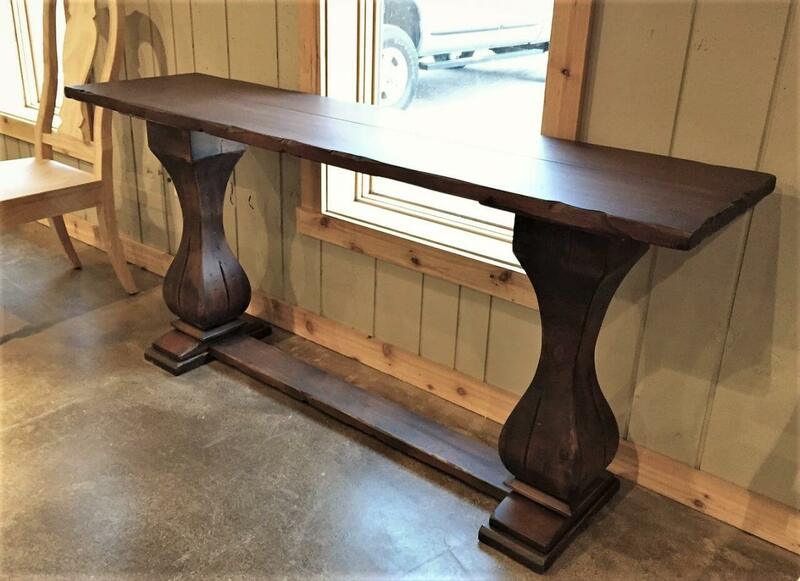 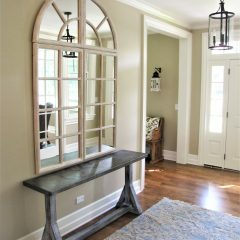 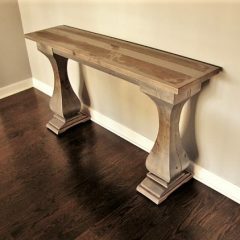 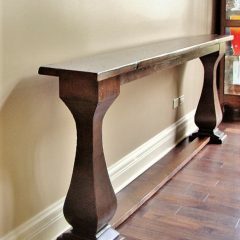 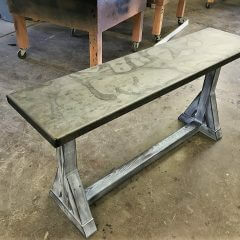 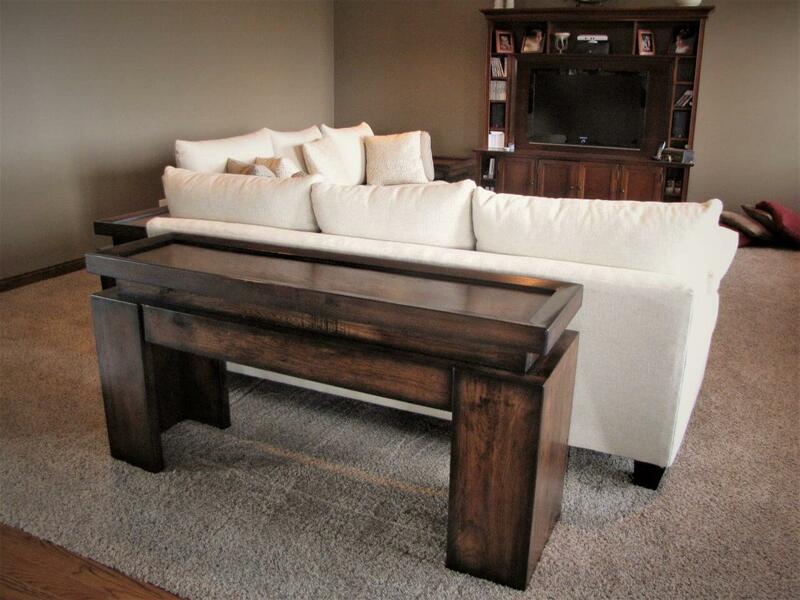 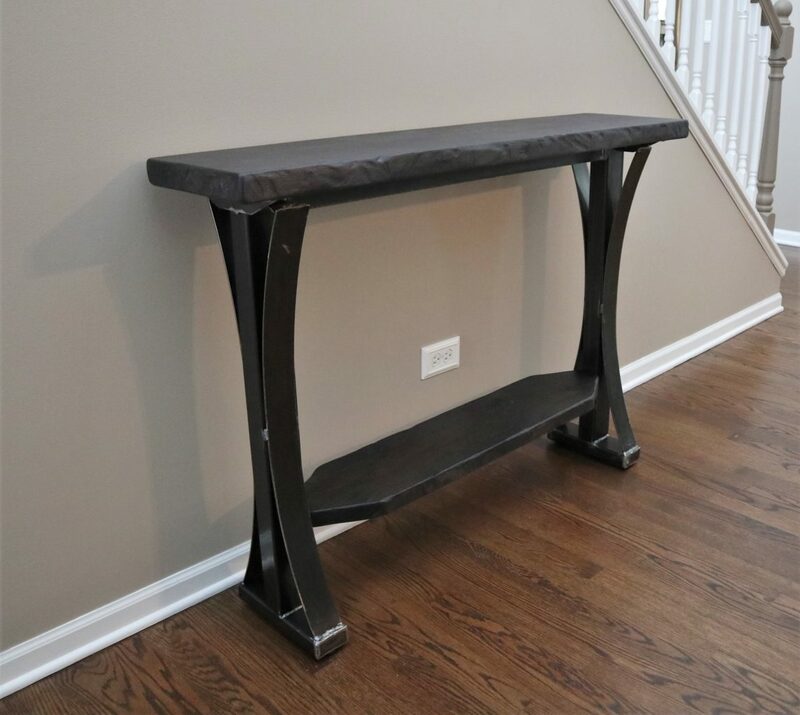 Console tables vary a bit from your dining room or coffee table. 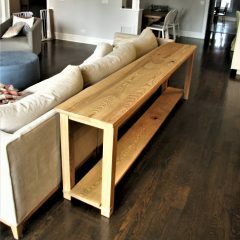 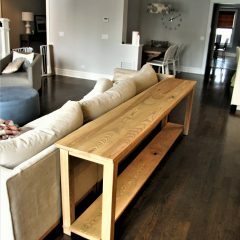 Though they can be the same design concept, they typically are used in hallways or behind couches. 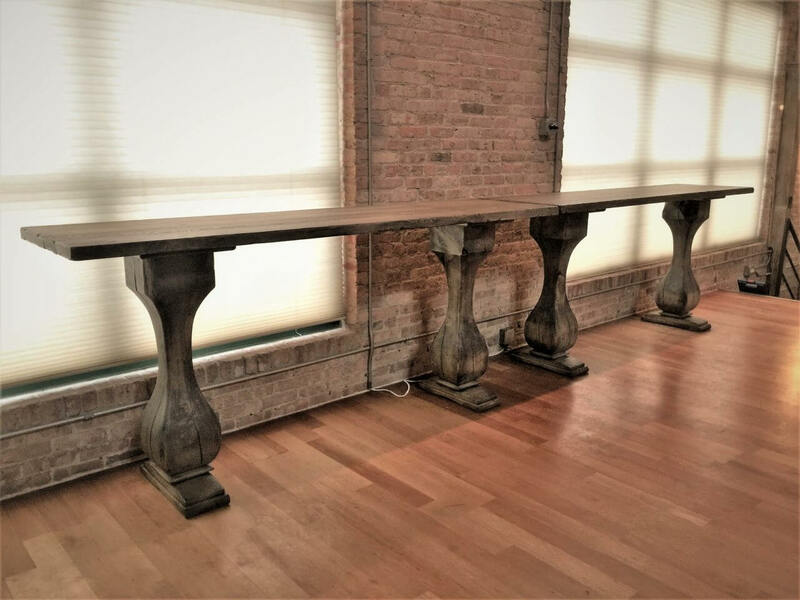 They are known to be a more slender, yet taller table. 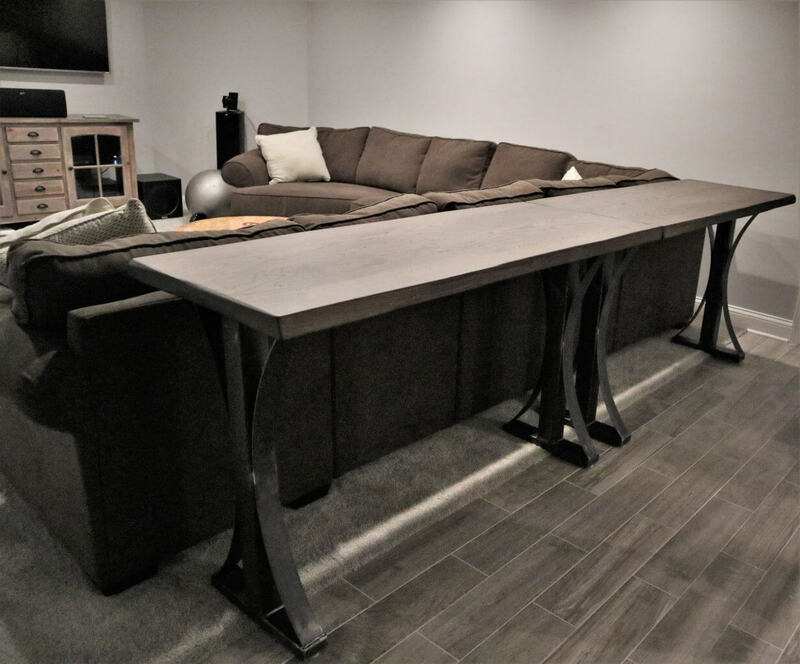 Below are some past projects we've done. 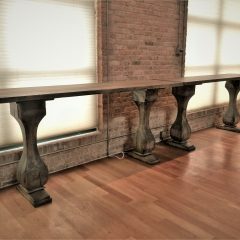 The options are endless with these solid wood tables. 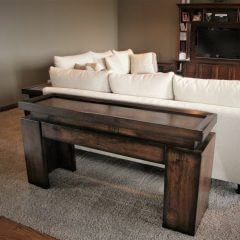 As always, you decide color, distress, and design.